Cronner Ronald Maro and Irene Ntale has sealed contracts for ambassadorial roles after Swim Safe Uganda reached out to them for a new project dubbed ‘Water Safety Campaign. The Swim Safe organization partnered with the Ministry of Tourism to start free swimming lessons and training for all Ugandans from 3rd May. The campaign aims at teaching Ugandans from journalists to parliamentarians, lawyers, primary and secondary schools, to fight the high rate of deaths on water bodies. Despite wild rumors that they fell out, celebrity power couple of Eddy Kenzo and Rema Namakula proved that they are still together. The evinced on Easter Sunday as both singers shared a photo on there socials while having a cup of evening tea together with as a blissful family with a caption, “ Easter goodness with family” which obviously was pretty enough to squash the break up rumours. You dont need Degrees or fluency in speaking English to be a teacher. This is what Big Talent boss, Edrissa Musuuza alias Eddy Kenzo is proving after successfully joining teaching. The latest reaching our desk indicate that the ‘Signal’ singer will be teaching and mentoring children despite having not been able to complete his studies. Through his social media, Kenzo revealed his game plan to teach and inspire what he calls ‘The next generation”. “Teaching is not about dissemination of knowledge but drilling three major skills in children – personalized study strategy, time management and memory retention. This means teaching course material is not enough, teaching how to learn is equally important” – Kenzo explained. Well we wish Kenzo all the best. 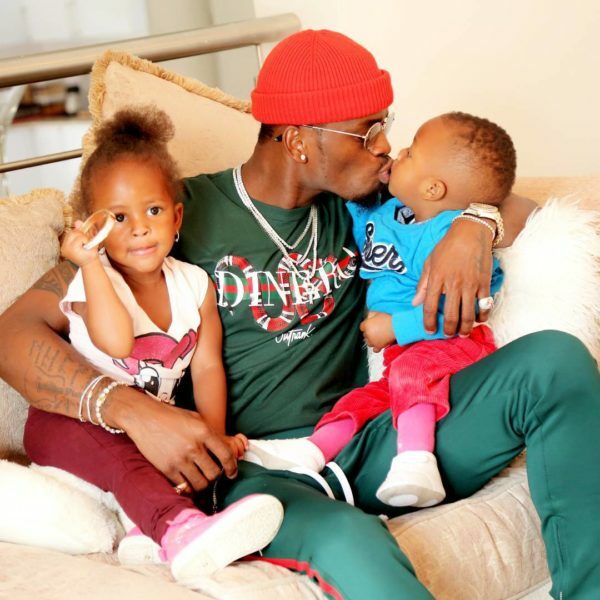 Mzee Juma father to Tanzanian artist Diamond Platinumz has revealed he never got a chance to meet Zari and her grand children while she was still dating the ‘Utanipenda’ singer. Juma who recently joined music says he never even heard Zari’s voice and says despite his efforts to meet her kids, Diamond always made it impossible. He recalls the time he always planned to come to Diamond’s mansion to check on the family only to be told the singer had left for a music tour. ”aah!sijai ona wajukuu wangu ata sauti yake zari sijawai sikia” he said. It is also well known that Diamond doesn’t see eye to eye with his dad due to unknown reasons and perhaps this could have been the reason he didn’t allow the old man to come nearby his family. Zari and Diamond broke up after 5 years of dating with the Ugandan socialite accusing him of sleeping around with multiple girls. On realizing he wasn’t ready to change, she dumped him and went on to live her own life.